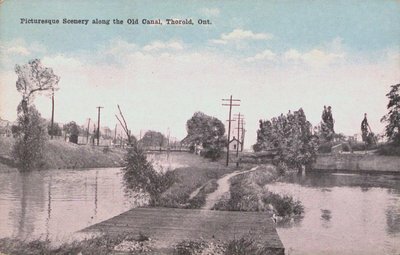 A postcard of a picturesque scenery along the Old Welland Canal (Second). Shown is the disused old Beaverdams lock, now unearthed. Thorold, Ontario. c1910.